Today we are bringing you yet another CBD review. This time it’s on Cannaboss, a European CBD brand pushing for a better future in the industry. They have a decent range of products, and even some unique offerings that you might want to take a look at. Cannaboss Global is an international CBD company based in Romania. Their offices and distribution centres lie in the UK and Greece, and the company currently has plans to expand further within the EU. But just because they are a European company does not mean that they don’t have a global vision; Cannaboss regularly keeps up to date with the latest CBD news and changes, especially in North America. The two founders, Eugeniu and Sebastian, met at University in Colchester. They have big dreams for the future of cannabis and CBD, with a huge focus on education. 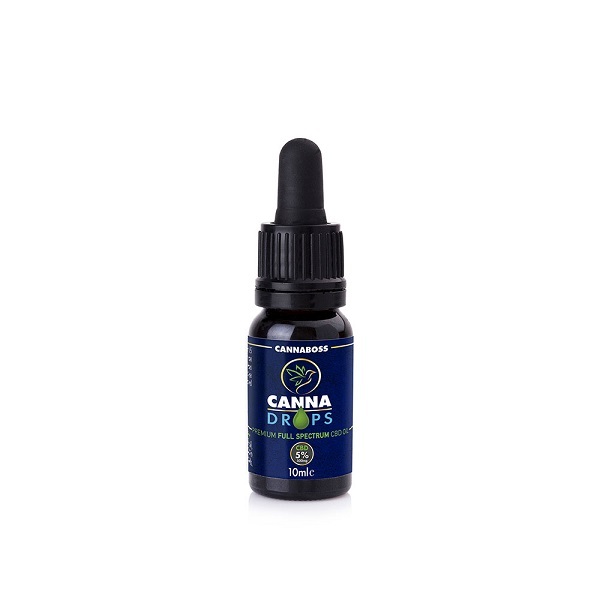 This is very clear on their website, with a large bank of information on CBD and a user-friendly blog to keep their customers up to date with everything they need to know. Cannaboss believe that normalising cannabis and integrating it back into our society will fuel a new era of research, allowing it to be used to its full potential. This means using hemp not just as a food supplement but also a textile and construction material. So what do they actually offer? Well, Cannaboss sell a range of high-quality products, with third-party lab reports openly available on the site. Furthermore, any order worth over £100 comes with free worldwide shipping. So what do they offer in the way of products? All Cannaboss products are made using hemp extract that is separated from the plant using CO2 extraction methods, regarded as the safest around. They sell a decent range of products including standard CBD oils, so let’s take a look. The range of CBD oils from Cannaboss are natural, vegan, gluten-free, non-GMO, and no pesticides were used in the growing process. After the hemp is grown, CO2 extraction is used to draw out a full spectrum of cannabinoids, including CBD, CBDA, CBDV and CBD. However, to comply with legal regulations, each oil contains less than 0.2% THC. The oil is golden in colour due to its all-natural ingredients. As a typical sublingual CBD oil, you take it by placing a few drops under your tongue and holding them there for a minute or so. Personally, we found this product very interesting. 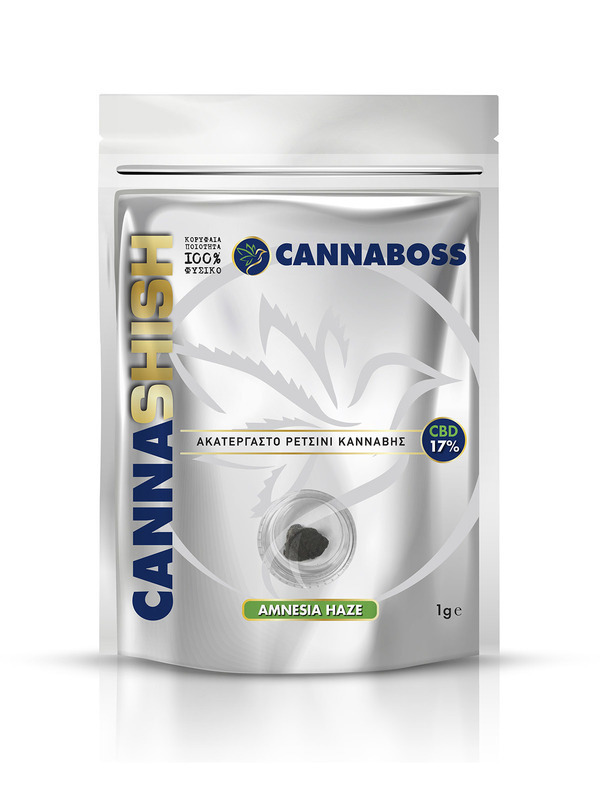 It is something we haven’t seen before on other CBD sites, and that’s why we were so intrigued by Cannaboss’ CBD Hash. Users of the CBD Hash have apparently described it as “the most natural thing they have ever tasted.” It has a very potent smell and taste, extremely reminiscent of the cannabis plant from which it came. This natural hemp resin is natural, non-GMO, vegan, and safe to use. The premium dark soft hash is non-psychoactive as it contains less than 0.2% THC, but it still is packed full with CBD and other phytocannabinoids and terpenes. In fact, the hash contains 20% (200 mg) of CBD. The 1g of hemp resin will set you back £21.50. The balm, containing propolis and CBD among other ingredients, can be used anywhere on your body, including on rashes and broken skin. It can soothe your skin and moisturise your lips, making it an extremely versatile products. With skin-loving ingredients, this topical can improve the texture and appearance of your skin. 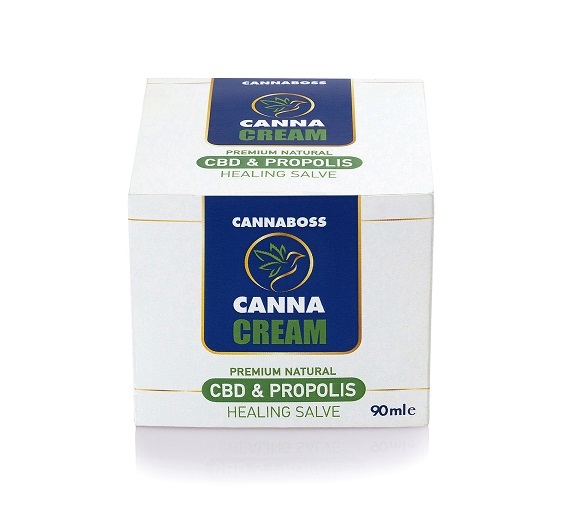 The 90 ml tub of CBD balm contains 400 mg of CBD and will cost you £40.00. We love how informative the website it. It’s clear how committed Cannaboss are to education, as their blog and their site contain a multitude of information on CBD, hemp and cannabis. There is also a lot of information about the company themselves, which is really reassuring for the customer; especially if you are unsure about which CBD companies to trust. The CBD oils are quite strong options, which is good for those who have already tried CBD and are looking for something more potent. The free worldwide delivery is a nice touch, especially if you purchase the highest strength CBD oil and one other product, or if you like to bulk buy. It’s very easy to find the third-party lab reports, helping you to feel safe and trusting in this company. We didn’t have any problems that warranted a message to customer service, but other customers have clearly enjoyed a good service from the customer support team. The CBD hash product is very unique and not like anything we have seen before. These products are quite expensive. There are definitely good quality oils available for cheaper. Although they have the basics covered, the range of products could definitely be bigger. We would like to see capsules, for a start, and edibles or e-liquids would also be a nice touch. The oils are a little strong for complete newcomers, who might prefer to try a 2.5% oil as a starting point. What Do We Think of Cannaboss? All in all, we don’t have any major complaints about Cannaboss. It is clear that this is a reliable and trustworthy company who comply with European law and provide great quality products. If you’re looking for a strong CBD oil (or maybe a CBD hash), then this company could be a great option for you. This is a fairly new business, so they have plenty of time to grow. In the future, we would like to see more products in their line, and perhaps they will be able to deliver on this front. For now, there is no real reason not to try Cannaboss other than the pricy aspect to their oils. At the end of the day, selecting a CBD company is down to personal preference, but Cannaboss is at least one brand that we can recommend.